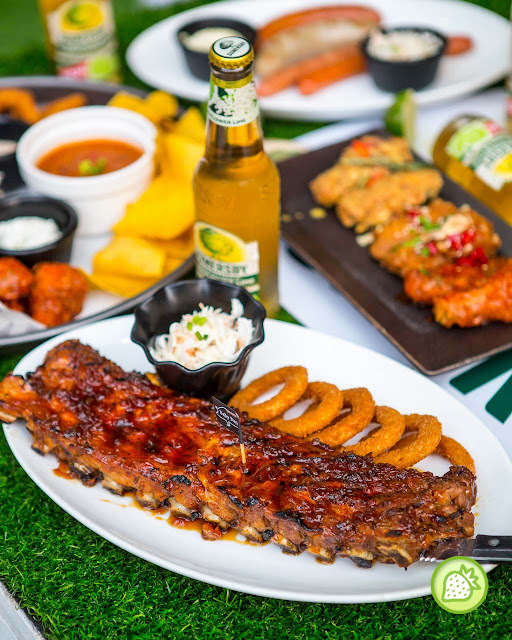 You are here: Home / Food Review / Somersby X Morganfield’s Da Men: Paired Your Ribs with Cider Now! 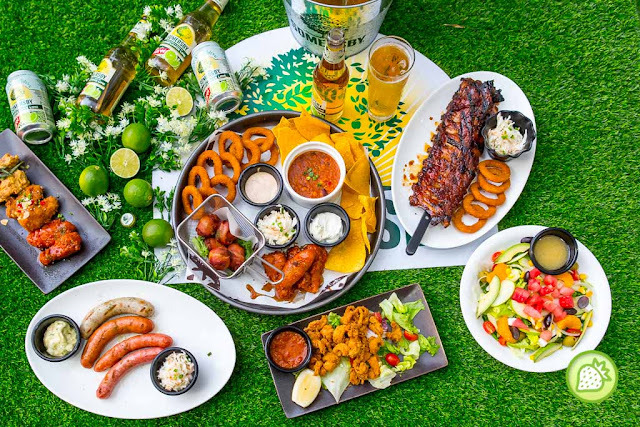 Somersby X Morganfield’s Da Men: Paired Your Ribs with Cider Now! Nothing better than enjoying some lovely cider together with the delicious porklicious meal. 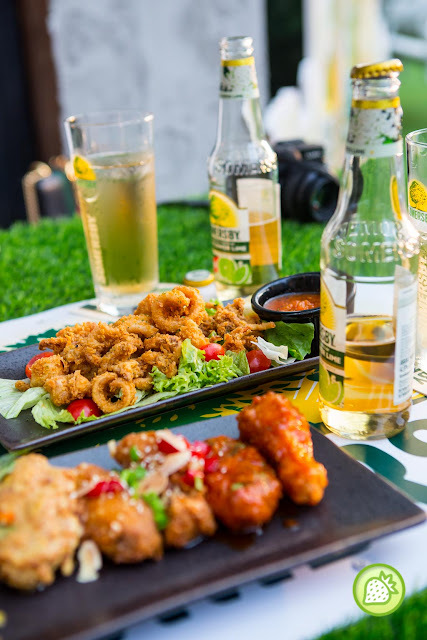 Somersby collaborating with Morganfield’s to bring you the awesome combination that will definite to enhance your meal. Somersby is one of my favourite brands to go for whenever I have some party time with my besties. 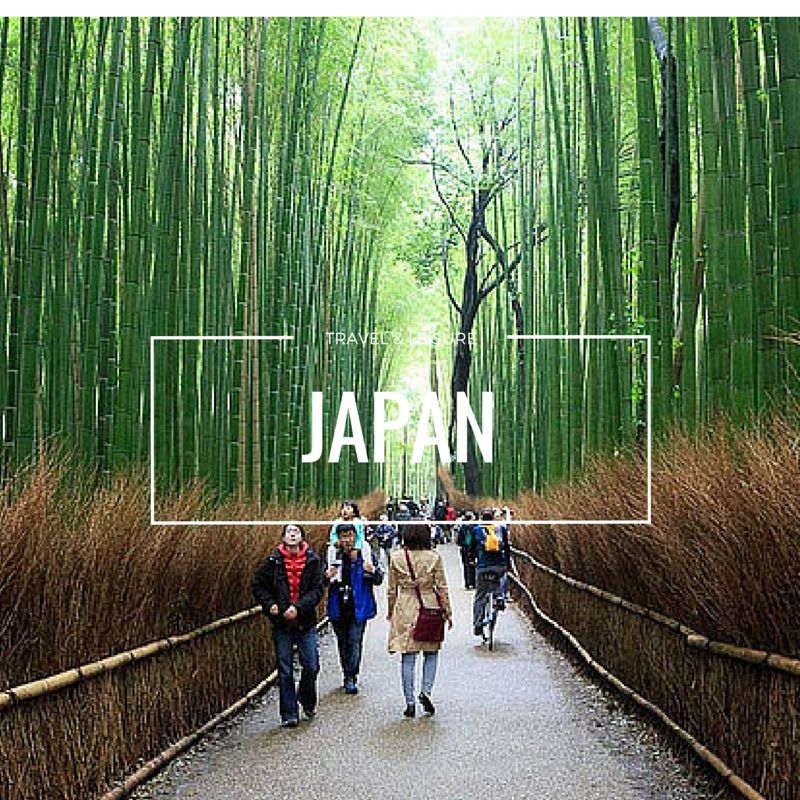 And recently they come up with a few selections of apple cider. 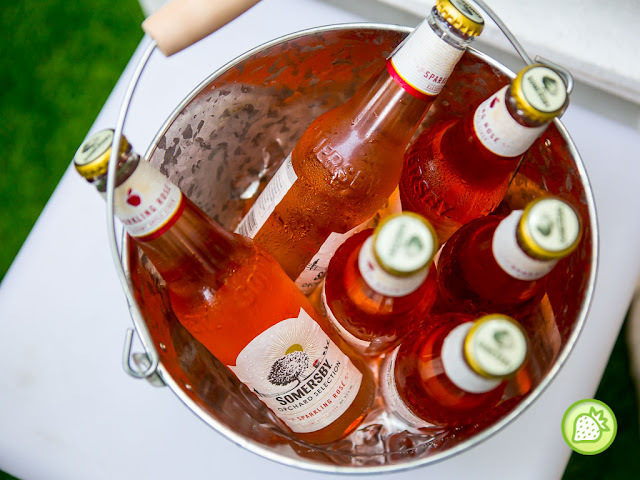 Added to their selections is their Sparkling Rose which is a casually elegant cider made from real apple juice and red berries. And of course, the latest addition is the Elderflower Lime that definite to boost a pleasant floral aroma with the refreshing twist of lime. 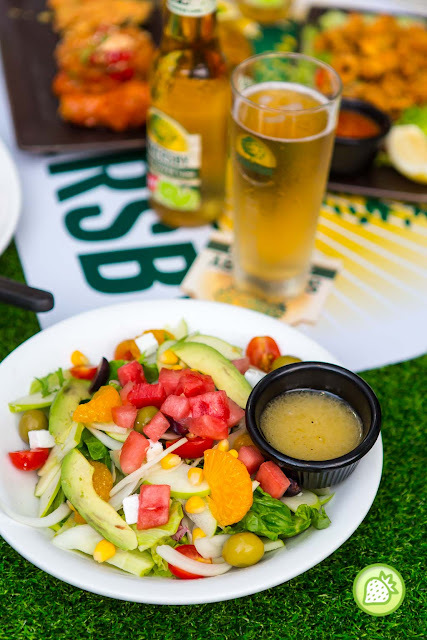 And now you can enjoy a great meal here by pairing them with the Somersby Cider. One of their selections to start with is their salad. Enjoy their salad which comes with a generous portion with the bites of avocado, greenies, cube of watermelon and more. It is always great to have your cider with the Jack Daniel’s Baby Back Ribs. For the ribs comes awesomely delicious that you will definitely go for more. The juicy ribs are perfectly accompanied with the cider and it enhanced the overall flavours. And now you can have the juicy ribs here which sides with the calamari. The sticky wings are another dish to go for. With the fiery kick, I need more cider after enjoying the spicy kicks after munching the juicy chicken wings. The sticky wings are completely well marinated with their signature spices which burst with the kick of awesome spiciness. A great platter for sharing- The Fourplay. 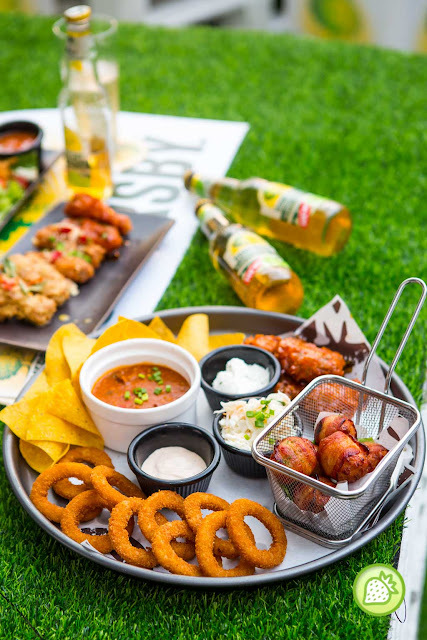 The platter comes with the Bacon Wrapped Meatballs, Onion Rings & Chili Con Carne Dip with the Corn Tortilla Chips and Sticky Wings. We love how this is done where the porklicious meals come just perfect for our palates. The dish is just perfectly my favourite especially the corn tortilla chips that come simply addictive. The Pork Sausage Platter comes addictive good. I just love this so much that I don’t mind adding some calories. The platter comes with the 4 choices of sausages which includes the Spicy Devil, Smoky Bandit, Herby Dog and Cheesy Cheese. The platter is deliciously done with the perfect aromatic. When it is paired with the cider, this indeed makes a good combination. With all these awesome dishes which is perfectly paired with the Somersby Apple Cider, it is definite to make my day. 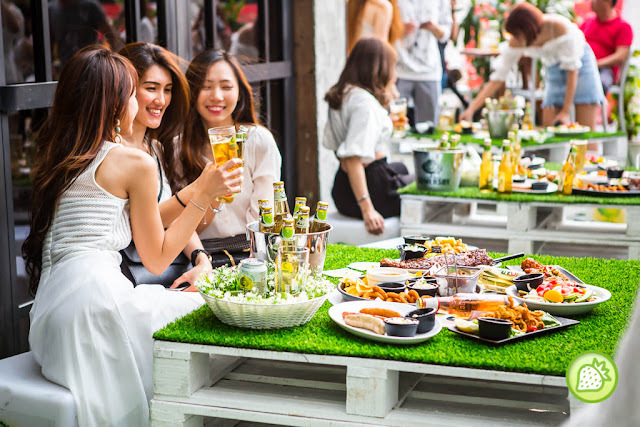 And not just that in Morganfield’s DaMen Mall USJ, they are the first in the country to have a beautiful decorated Somersby Garden. And now you can enjoy the freshly tapped Somersby from Draught ONLY in Morganfield’s Damen Mall USJ. 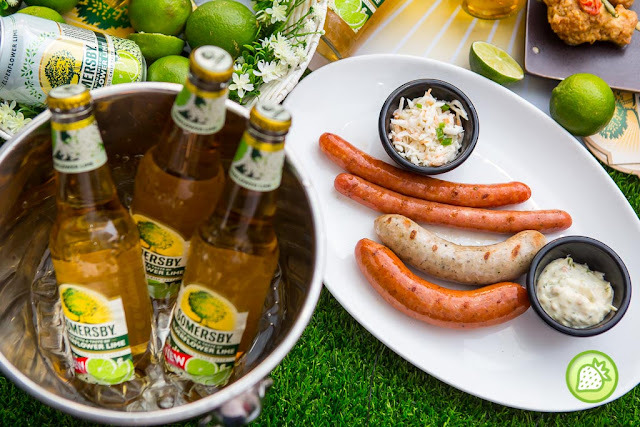 For fans of the Somersby Elderflower Lime, now can you enjoy RM 9.90 per bottle (until 8pm only) or RM 39.90 (Of 4 bottles ( per bucket) ) ( all day long) with the purchase of any baby back ribs purchased.